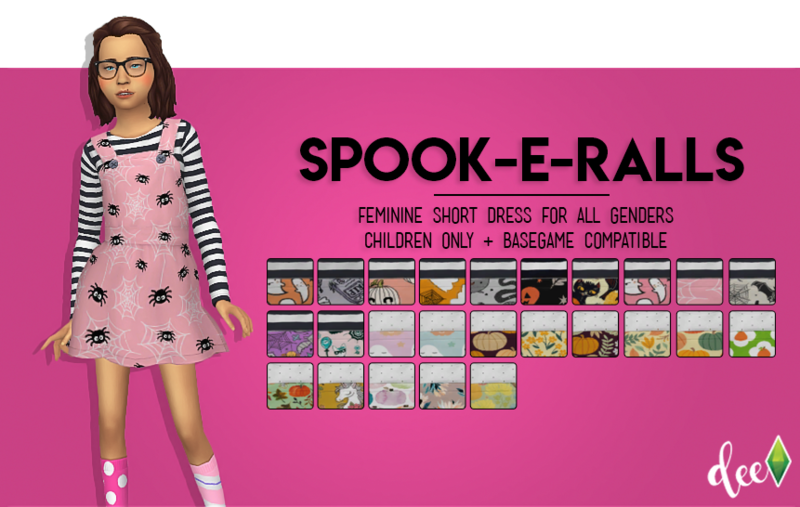 Spoopy Overalls for your spoopy kiddos. Come in about the same patterns as the Josie Tot Dress and Boo! Skirt from my Simblreen 2017 Treats!